Hello everyone, I’m kind of relating this to a Christmas themed post purely because of the packaging for this product. 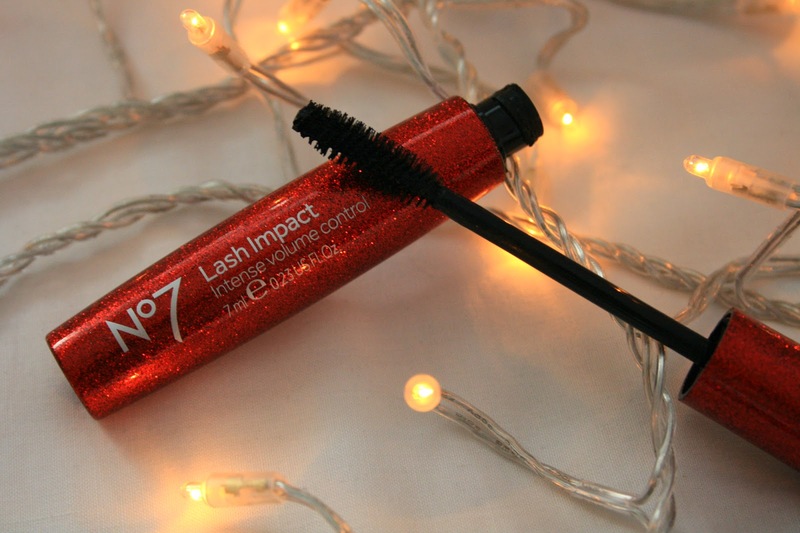 Its the No7 Lash Impact mascara. Wow, this is going to be a good review let me tell you now! Enjoy. I really needed a new mascara, as I’d run out of the Miss Manga but wasn’t really fancying buying it again. I’d seen this mascara being advertised throughout Boots for a very long time, plus my friend had it and said how amazing it was. So I decided to give it a go. I have to say, I wasn’t expecting too much from it, don’t ask me why. But wow, I have not been disappointed one BIT. For £13.50, this is one of the best mascaras I’ve ever used. It really does give volume to your lashes like no other mascara I have used in the past. It separates your lashes perfectly also. The applicator isn’t a plastic one, which I think really helps. It does exactly what it says on the tube, give intense volume. It doesn’t come off for anything, there has been times where I have worn this whilst crying and it hasn’t sort of dribbled down my face then, or when you accidently forget to take it off before you shower, it doesn’t go all over your face. So getting it off, as you can imagine, is a bit of trouble but I think its worth having a mascara that stays on all day long then having to try and scrub off at night. 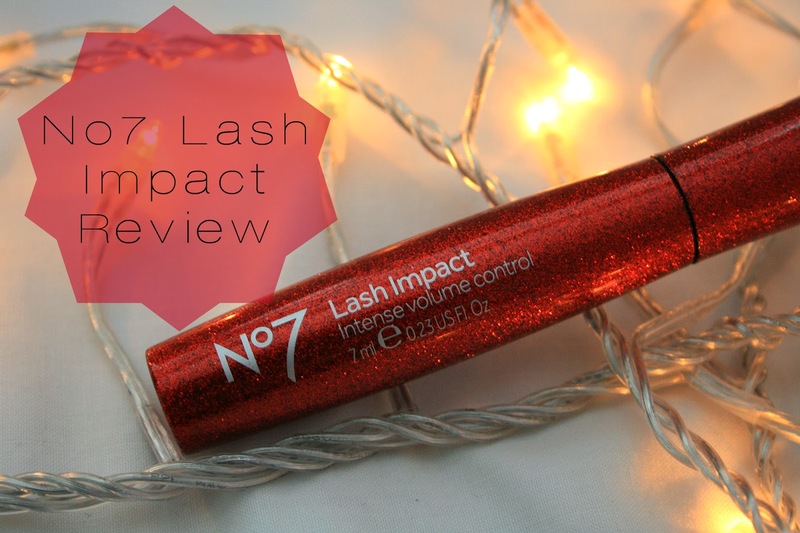 It really does give your lashes that curled, volume effect. I adore this mascara, who knew you could love a mascara so much? I’d recommend this mascara to anyone and everyone, it’s totally perfect with very minimal flaws. Whats your favourite mascara? Thanks for reading everyone, hope you’re having a good week!